When properly maintained, your heating and cooling system will do much more than keep your home at a comfortable temperature. It will also play an integral role in improving indoor air quality. If you experience allergies, it’s important to make sure your HVAC equipment is optimized to reduce the allergens in your living environment and keep new ones from entering. Taking the following steps can help relieve many of your allergy symptoms. Outdoor HVAC units pull outside air into a system to be dispersed inside. To make sure this air is as clean as possible, the outdoor unit must be inspected frequently to ensure it’s free of any debris. Neglecting to do this will allow debris to get pulled in with the air and distributed throughout your home. When dusting around the house, it’s easy to forget about the registers and vents. However, as time passes, they accumulate more and more dust, which your HVAC equipment will eventually begin circulating indoors. 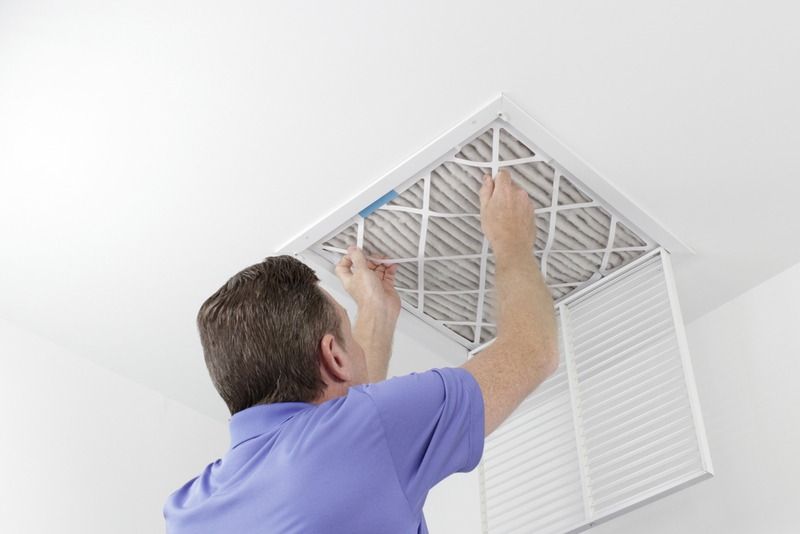 Avoid this by using a wet rag or microfiber dust cloth to clean the vents and registers once a week. The filter in your heating and cooling system is meant to help trap dirt, dust, and outdoor allergens to prevent them from being scattered throughout your home. If a filter becomes clogged, it won’t be able to do its job correctly. It’s typically recommended that filters be changed at least once every three months, but those who struggle with allergies or have pets should replace them more often. High humidity levels mean there is a greater chance of developing mold, which can exacerbate allergies. Thus, it’s vital to control the amount of humidity in your living space as much as you can. This can usually be done by running your air conditioner or using a dehumidifier. One of the most cost-effective ways to maintain a properly working HVAC system is to schedule professional tuneups twice a year. This is not only essential to making sure your unit is running efficiently throughout all four seasons, but it also keeps the air free of pollutants that cause allergy symptoms to flare up. There’s no need to continue putting up with allergies when your heating and cooling system offers a viable way to keep the air in your home clean. The key is to work with a skilled contractor who knows how to ensure your equipment is operating at peak performance. This is why residents throughout Erie County, PA, have been relying on Adams Heating & Cooling since 1998 to provide them with high-quality HVAC services. Regardless of your request, they are qualified to meet all of your installation, repair, and maintenance needs. Contact them at (814) 922-7786 or visit their website to learn more about their services.